In the world of luxury hotels, there are some destinations that have an added allure for offering the ultimate in luxury, opulence, and decadence. This world is beyond the reach of the majority of people, but it allows the rest of us to dream. Beverly Hills is one such destination. The Beverley Hills Hotel is positioned on the crest of 12 acres of prime residential real estate in one of America’s most exclusive zip codes, 90210. Antonio Cuellar, who photographs luxury hotels for a living, has a true appreciation for accommodations that are able to provide a quintessential world-class experience. In his capacity as one of the judges for the Luxury Travel Guide Antonio is often asked to recommend the best luxury hotels in the world and it was without hesitation, that Antonio included the Beverly Hills Hotel in his recommendations. Los Angeles is the place of fairy-tales and home to Hollywood, Century City & Rodeo Drive. It is known worldwide for its amazing mansions, shops that offer a lavish shopping experience and endless art galleries, museums, fine restaurants and an exciting nightlife where you are guaranteed to spot a star or two. 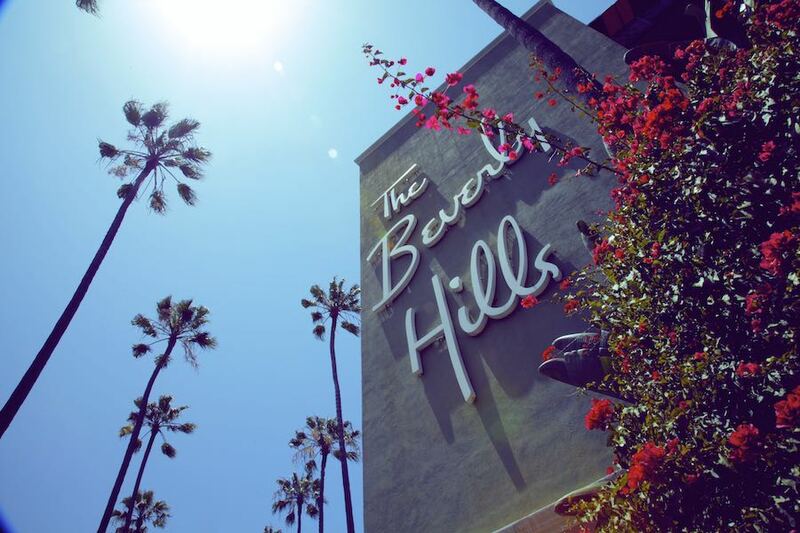 It is fitting that the Beverly Hills Hotel is known as the jewel in the crown of Beverly Hills. 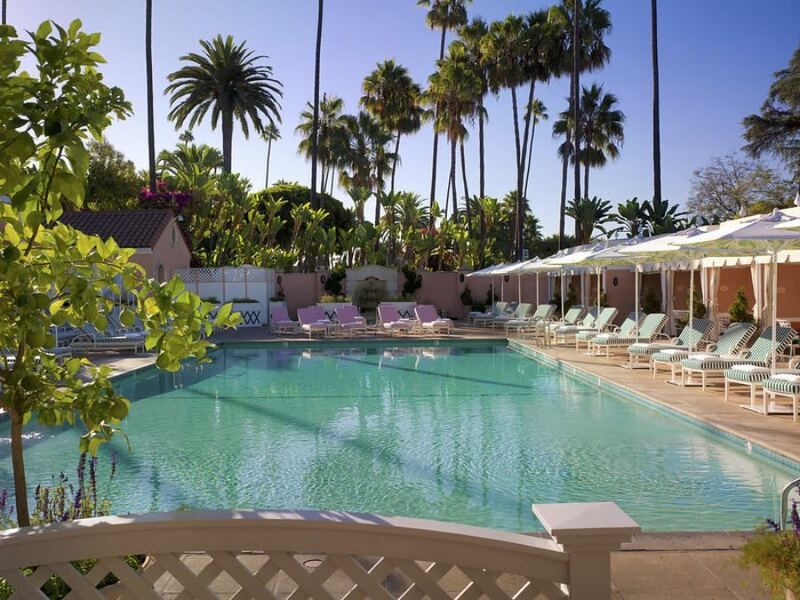 The Beverly Hills Hotel is famous for so many reasons and those reasons are simply too numerous to list individually. It is without a doubt one of the world’s most famous luxury hotels. 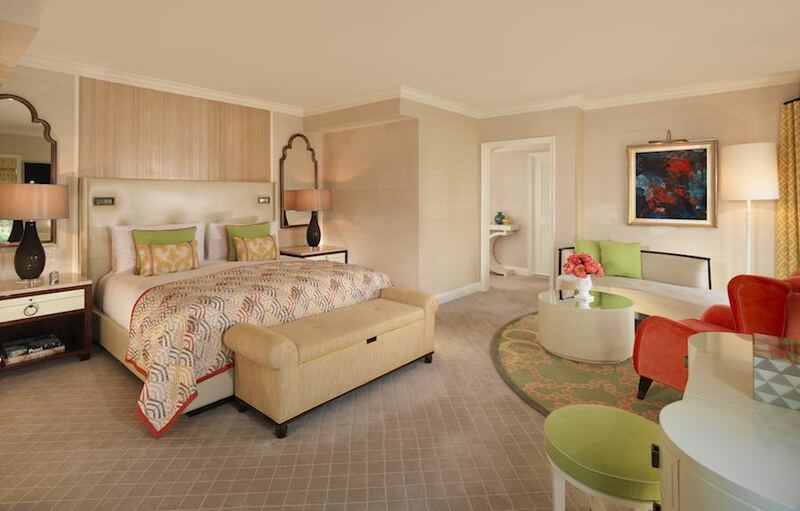 The Beverly Hills Hotel is a member of the esteemed Dorchester Collection whose portfolio includes some of the most exclusive hotels in the world. The Beverly Hills Hotel opened its doors in 1912 and for nearly a century has been the place for the world’s elite in the entertainment industry to socialize, to meet secretly in the famously luxurious and private bungalows and to negotiate deals with movie moguls in the Polo Lounge whilst the rich and famous splash in the pool in the background. 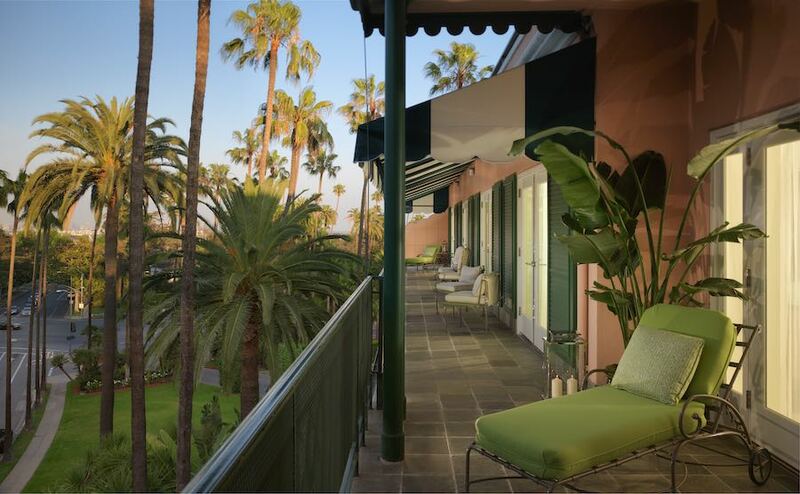 Affectionately known as the “Pink Palace”, the Beverly Hills Hotel offers its guest the chance to enjoy a luxury that is simply unsurpassed. 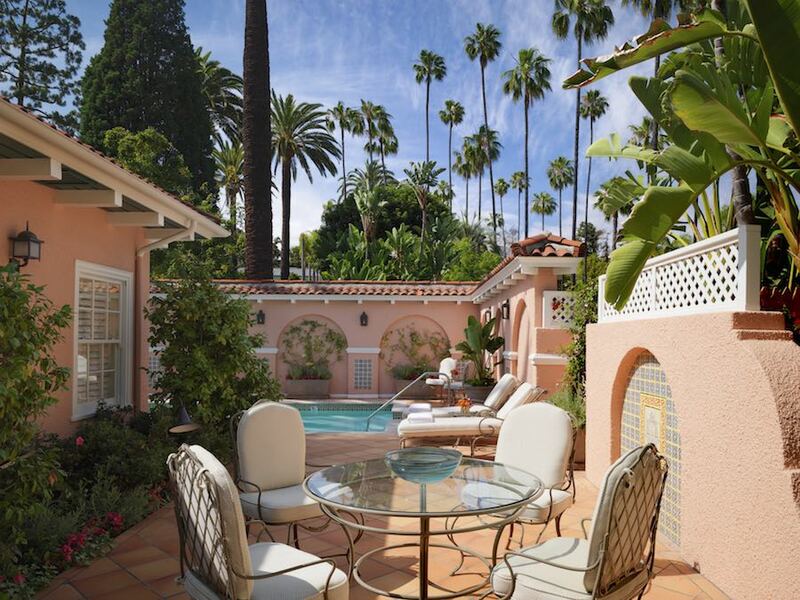 The Beverly Hills Hotel provides a location that offers the most wonderful privacy in the heart of one of the world’s most famous cities. It’s enduring and dramatic beauty has been lovingly maintained with an extensive renovation in 1992, that remained faithful to the Hotel’s extraordinary style and art-deco beauty. The hotel remains as seductively luxurious now, as it did when it first opened its doors in 1912. 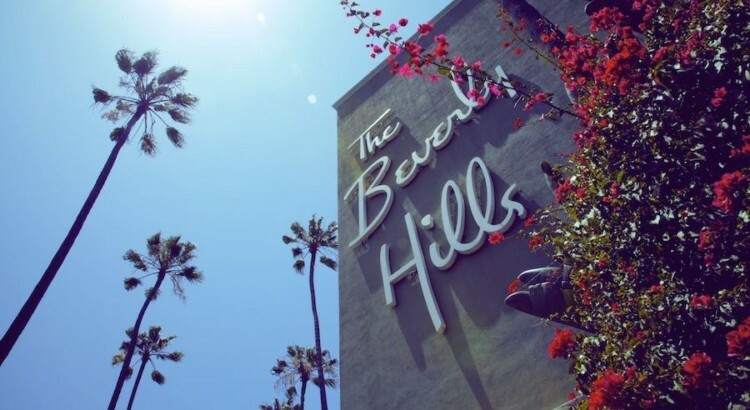 The Beverly Hills Hotel is as world-famous for its extensive accommodation offerings and its exemplary service, as it is for its famous guests. If you are fortunate enough to be a guest of the Beverly Hills Hotel you are assured of having an experience that is absolutely flawless. 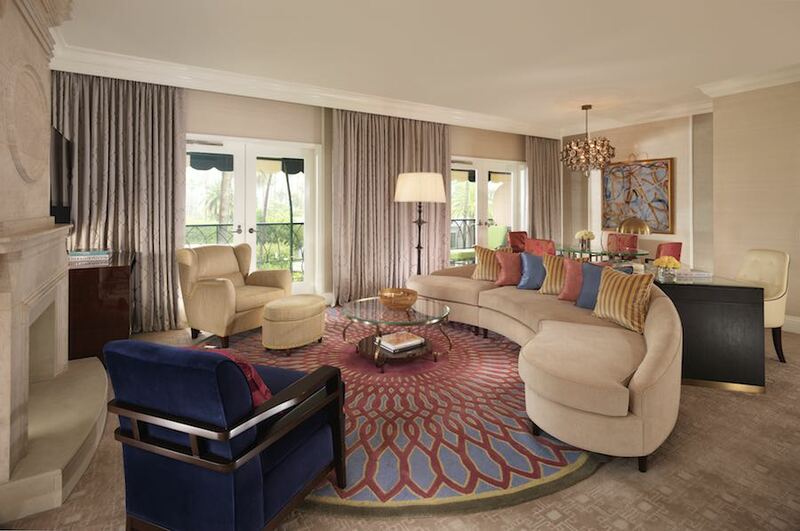 The hotel added two new 3 bedroom Presidential Bungalows in 2011. It has 208 guestrooms and suites including the 23 bungalows which are all one of a kind. They are individually styled and themed with their own décor and ambiance. They are presented like individual homes with separate entrances, living rooms, dining rooms and wood burning fireplaces. 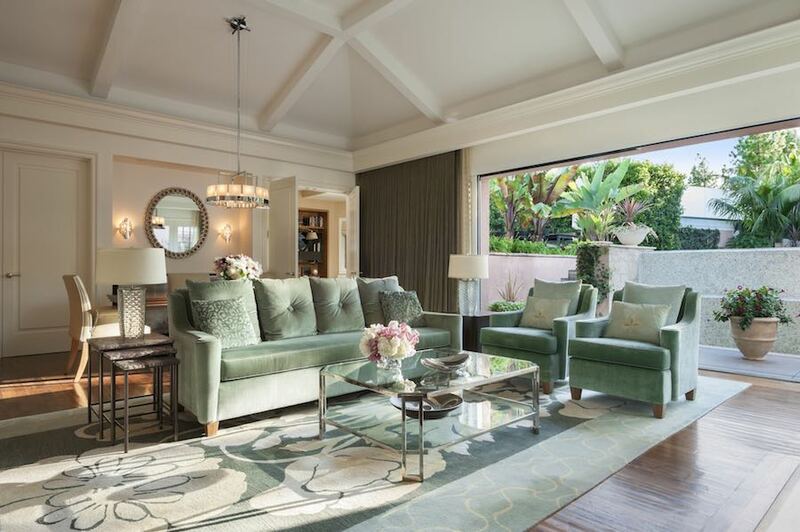 A very important element of the Beverly Hills Hotel is that it is a luxury hotel that offers the appeal of being a ‘home away from home’ for all of its guests. Eccentric billionaire Howard Hughes, in fact, resided in a group of bungalows for almost 30 years. To ensure that it maintains this effortless and welcoming residential feel the property underwent an extensive renovation programme with all rooms completed in 2014. The rooms showcase the most beautiful of materials including the softest of leathers combined with mohair, walnut, ebonized oak and parchment lacquered furniture which adorn the rooms, ensuring the guest’s comfort at all times, whilst celebrating luxury in all shapes and forms. 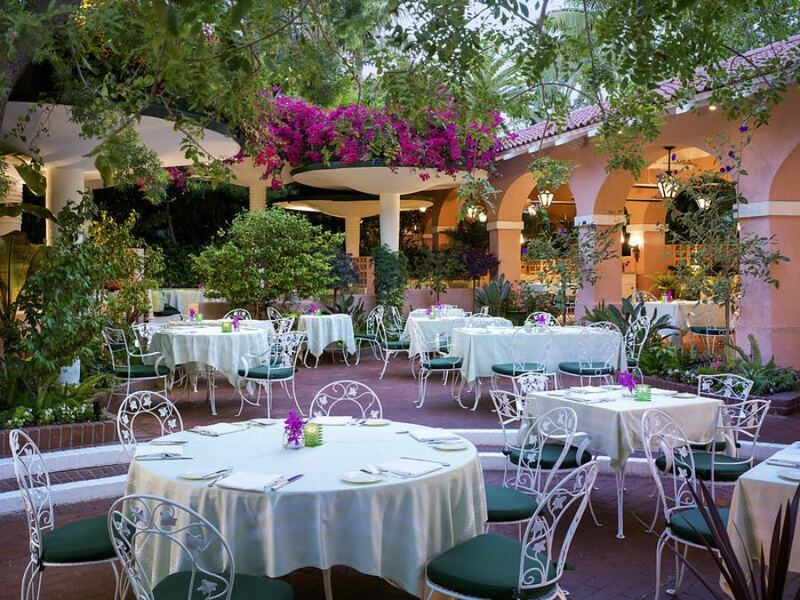 In terms of dining, quite simply, the Beverly Hills Hotel is the place to be. The Polo Lounge is perhaps the most legendary location in Beverly Hills. Considering that Los Angeles is the place of legends, this is quite an accolade. Since it first opened its doors in 1912, it has been the home to power dining in Los Angeles. 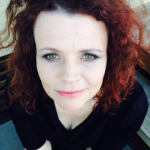 Charlie Chaplin had a favourite table there, the Rat Pack used to drink there, mega deals were struck by movie moguls and stars were made within the fabled walls of the Polo Lounge. There is also the Cabana Café giving the chance to dine alfresco and the Fountain Coffee Room; a vintage soda fountain which first opened its doors in the 1940’s. Finally, there is Bar Nineteen12, the hotel bar named in honor of the year the hotel first opened. It is the very nature of the Beverly Hills Hotel, a luxury hotel rich in history, that there is not a place within the hotel that does not have a famous story to tell. Legend has it that both Marilyn Munroe and John Lennon were regulars at the Fountain Coffee Room. 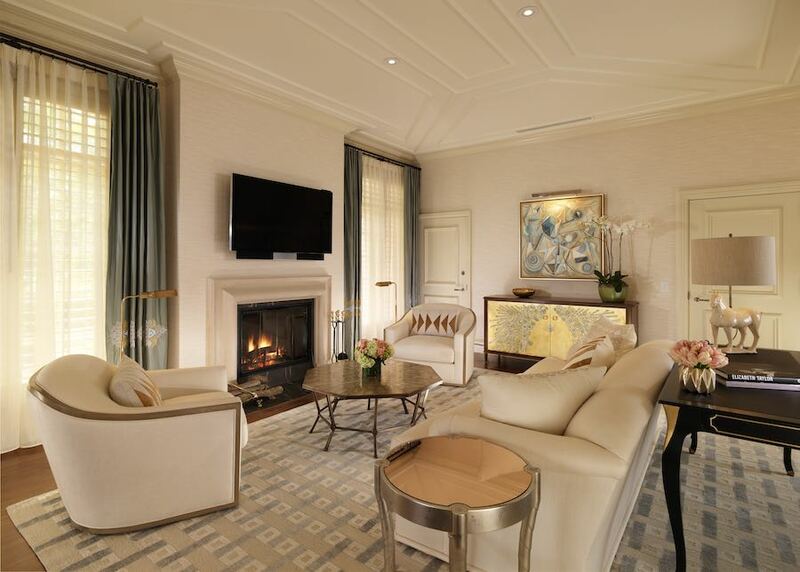 The Beverly Hills Hotel is a luxury hotel where you truly do wish that those walls could talk, if only for a moment. 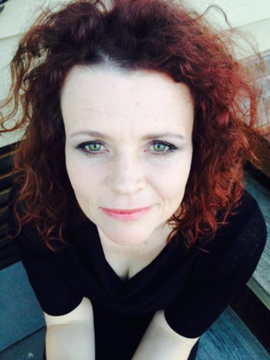 Luxury Hotels are designed to cater for their guests every whim. The Beverly Hills Hotel offers extensive spa services at the Beverly Hills Hotel Spa by La Prairie. 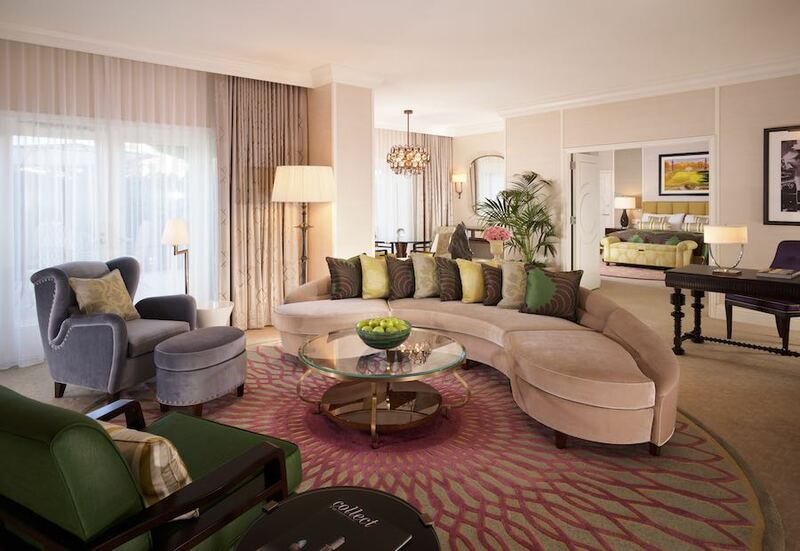 There is a 24-hour room service and concierge service ensuring that the staff of the Beverly Hills Hotel are working round the clock to provide complete guest satisfaction. The hotel’s signature pink façade gave it the name of the “Pink Palace.” It remains to this day, one of the most famous luxury hotels in the world. 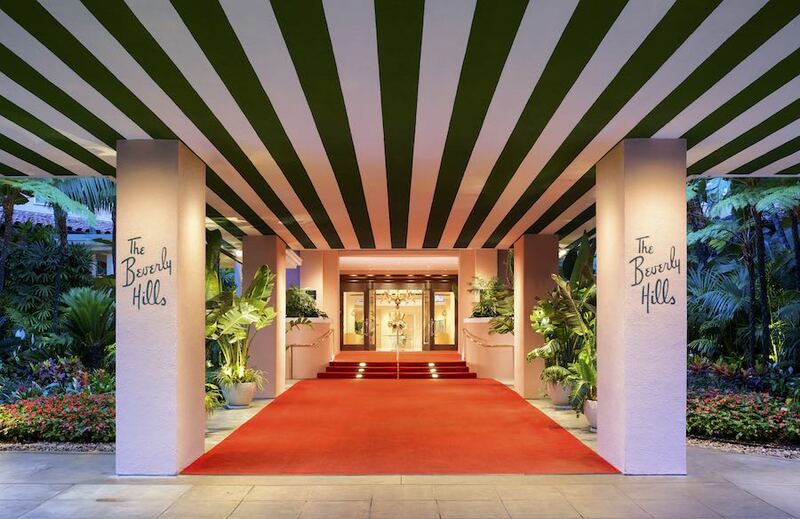 The Beverly Hills Hotel, quite simply, is the most iconic hotel in Los Angeles. 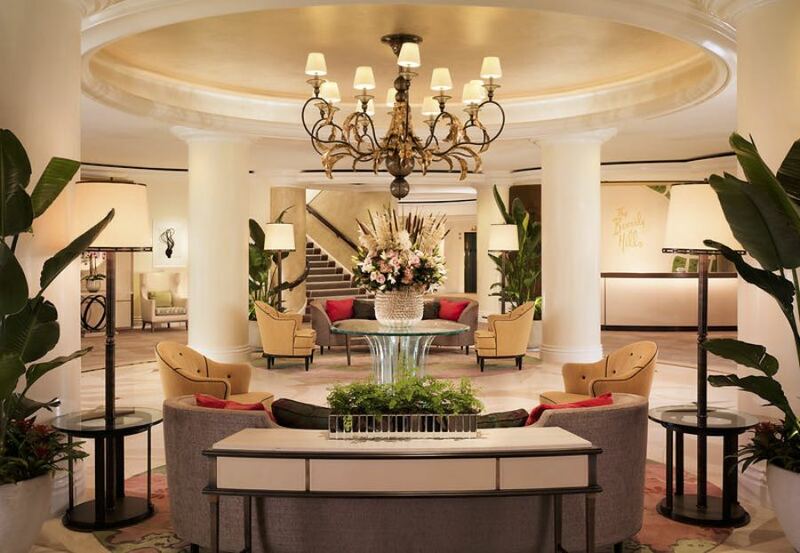 American author Fran Lebowitz once famously quipped, “Los Angeles is a large city-like area surrounding the Beverly Hills Hotel.” It seems that the whole of Los Angeles revolves around this incredibly beautiful luxury hotel, the Beverly Hills Hotel.